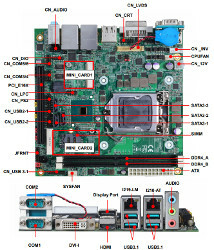 (click image to enlarge)The LV-67X is called an industrial board, and it provides a relatively wide 0 to 60°C range and a smattering of industrial I/O. However, it has a full-height profile and bridges the gap to consumer applications. The board supports video gaming, virtual reality, medical devices, imaging, machine vision, and digital signage. The product page lists only Windows drivers, but the manual notes that the board also supports Linux. The 170 x 170mm SBC supports Coffee Lake Core, Celeron, and Pentium CPUs that work with the FCLGA1151 socket (the full name for LGA1151). 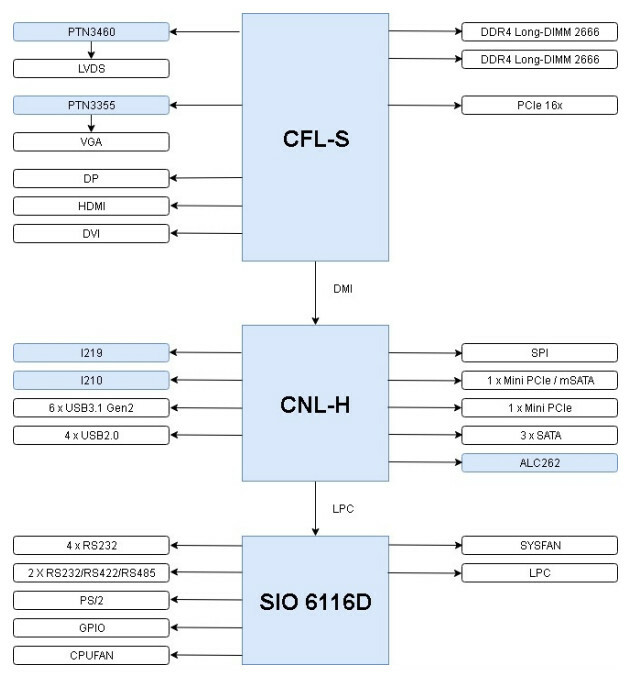 The board ships with Intel Q370 chipset, one of Intel’s 300-series I/O chips announced with Coffee Lake that supports USB 3.1 Gen2 and extensive PCIe lanes. 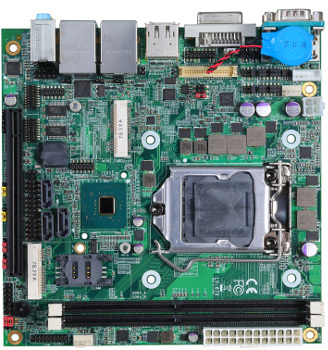 No specific models were mentioned, but the SBC is said to support Coffee Lake chips with up to six cores running at up to 4.7GHz Turbo, with Intel 9th-gen graphics and up to 12MB cache. That would be the profile for the top-of-the-line Core i7-8700K, a hexa-core chip with 12 threads and a 95W TDP. The LV-67X can load up to 32GB of speedy, 2666MHz DDR4 RAM via dual sockets. 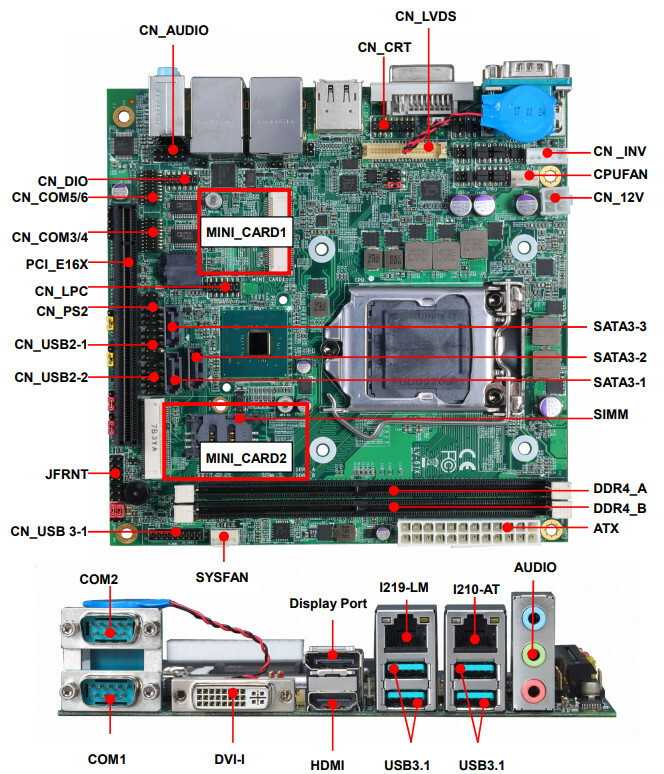 It provides 2x GbE ports, 3x SATA III interfaces, a full-size mini-PCIe slot with mSATA support, and another half-size mini-PCIe slot accompanied by a SIM card slot. There’s also a PCIe x16 interface. The description of the USB feature set varies depending on the citation, but Commell has clarified matters for us in an email. 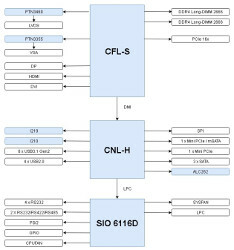 There are 6x USB 3.1 interfaces, 4x of which are coastline ports. There are also 4x USB 2.0 internal interfaces. One key difference between earlier Core-based boards is that the LV-67X taps Coffee Lake’s ability to power three independent 4K displays. The board accomplishes this hat trick with coastline HDMI and DVI-I ports and an optional DisplayPort, as well as onboard VGA and 18/24-bit, dual-channel LVDS interfaces. If you don’t want the DisplayPort, you can instead get additional VGA and LVDS connections. The LV-67X is further equipped with 4x RS232/422/485 or RS-232 interfaces, depending on conflicting citations, with an option to add two RS232/422/485 DB9 ports. Other features include 3x audio jacks (Realtek ALC262), 8-bit DIO, and LPC, SMBus, and PS/2 interfaces. You also get a watchdog, RTC with battery, and 24-pin ATX and 4-pin, 12V inputs. No pricing or availability information was provided for the LV-67X. More information may be found on Commell’s announcement and product pages. This article originally appeared on LinuxGizmos.com on August 17..